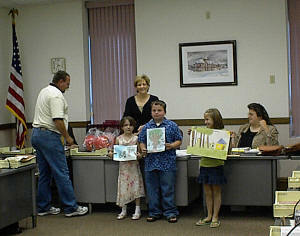 Arbor Day poster winners display their artwork before the Lincoln City Council. 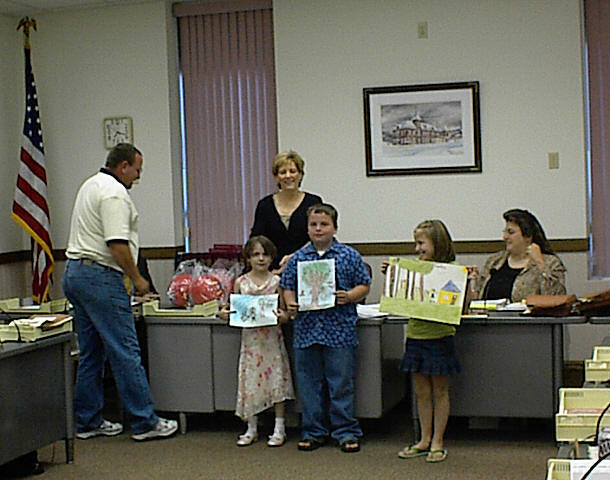 Left to right , front: Streets Superintendent Tracy Jackson, Kara, Trenton Crawford and Emily Sanders. Back: Mayor Beth Davis and Melanie Riggs, city clerk .